Here we are, another year ends by and the dawn of a new year!!. We all look back each year to see what went wrong more than what went right, to make sure it is done right the year after, so I thought let me end my blog this year with “times when IT cos said sorry in 2009”, some funny, some foolish, some unwanted, whatever read on for some interesting and funny mistakes ;),,, this year we saw several big IT giants issue regret letters after public outcry. Internet search giant Google had to apologise more than once in 2009, Microsoft too had to say sorry on charges of racial discrimination. The list included many other big names too. 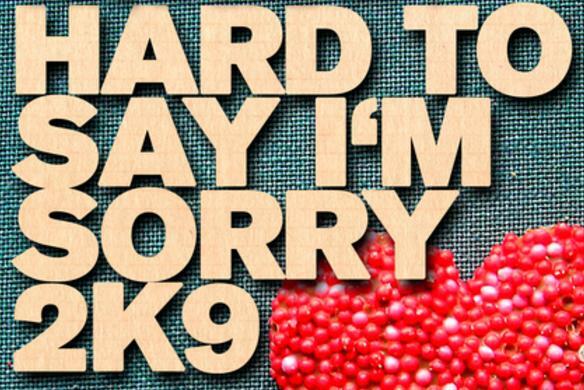 Here’s where and why technology companies issued public apology in 2009. Even this year we saw Google’s Gmail continue its march on the growth track. However, as Gmail grew, so seemed to be the woes for its users. The year saw Gmail services getting disrupted several times, sometimes these outages were regional while on other occasions global. Consequently, the search giant Google had to often extend apology to its sea of users for the inconvenience suffered. The latest outage occurred in September. According to the company, the outage saw Gmail going offline for a “majority” of its email users, including its paid consumers. Earlier in May, millions of people were cut off from Google’s search engine, e-mail and other online services after too much traffic was routed through computers in Asia. About 14 per cent of Google’s users encountered problems with the Internet’s No. 1 search engine. The frequent outages made analysts wonder if Gmail is getting too unwieldy for the search giant to manage. Don’t worry where’s Microsoft there’s Google, Internet search giant’s image results recently created a stir when it was pointed out that the image results for US first lady Michelle Obama showed a racist image in the top results. The image search result which showed Michelle Obama as a monkey women was later removed by Google. Google also apologised for the image. In a statement, the company said, “Sometimes Google search results from the Internet can include disturbing content, even from innocuous queries.” “We assure you that the views expressed by such sites are not in any way endorsed by Google,” the statement added. Google also ran several advertisements to explain the appearance of racist and anti-Semitic material in its search results. I told you there is every reason which will make you sorry for, Apple stirred almost anything on there i-Phones isn’t, this time they stirred the wrong one.. Just three days after launch, Apple pulled the plug on its Baby Shaker app. The application was pulled following a strong protest from child advocacy groups who termed the app highly offensive. The 99-cent application created by Sikalosoft allowed users to silence a virtual screaming baby by violently shaking the iPhone. The app description showed, “Never, never shake a baby.” It also advised, “See how long you can endure his or her adorable cries before you just have to find a way to quiet the baby down.” In a statement Apple apologised for allowing Baby Shaker into the iTunes store, and said, “This application was deeply offensive and should not have been approved for distribution on the App Store.” There you go, Apple.. In July this year, Amazon CEO Jeff Bezos issued an apology over a surprise deletion of books that Kindle owners had purchased and downloaded to their devices. Bezos apologised in a posting on the Kindle Community forum for the deletion of two books, George Orwell’s Animal Farm and Nineteen Eighty-Four, explaining that the company will be changing its policy in the future. Here is another Sorry man, VMware’s Scott Drummonds apologied to Microsoft after posting a YouTube video that misled viewers on the reliability of Microsoft’s Hyper-V. The Climax ends with lap dance story from Yahoo, In October 2009, Yahoo apologised to its Taiwanese clients over a lap dance show organised during its brainstorming meeting for Internet engineers in Taipei. The rare move came after girls wearing bras and miniskirts performed in front of male participants seated on stage during an event that was part of a Yahoo Hack Day, where developers work on creating new web applications. Chris Yeh, head of the Yahoo Developer Network said in a statement, “This incident is regrettable and we apologise to anyone that we have offended.” Heck we all missed that Yahoo Hack Day.. Does Microsoft Bing Ding Google ??? While Google slips in new features every few weeks, Microsoft favors the big launch, and for its major push into the search market that launch is today. For the past week, the tech press has been speculating that instead of using the project’s code name, Kumo, the final product would be called Bing; located at http://www.bing.com, will begin to roll out over the coming days and will be fully deployed worldwide on Wednesday, June 3. It’s unlikely that Bing will unseat Google anytime soon, but its slick interface and tailored search results certainly give the search giant a run for its money. Basically, Bing increases the chances that you’ll get the answer you need right on the results page, without the need to click to another site, which may not even have what you’re looking for. Foremost among new features that serve this goal is the “quick-page preview,” which displays text from pages in the results when you hover the mouse over the right side of a result’s entry. It’s one of those “why wasn’t that always there?” features that you quickly become dependent on. Other ways Bing gets answers you want directly on its results page are in the results text and deep links. And you can search inside large sites or check FedEx or UPS tracking numbers from text boxes right in the results. Interface wise rather than the blank white screen and logo that greets you on Google, Bing welcomes you with a beautiful, usually geographic but sometimes current-events-related image. The image loads after the search functionality, so it won’t prevent you from starting your search immediately. Live Search had these images, but with Bing you can go back and see all the ones from the last week. At the bottom of the home page you’ll see hot searches and travel and shopping topics, too. Starting with this first search page, the consistency of interface begins: The left sidebar is always there to offer options, categories, and filters to fine-tune your search results. This is the case whether you’ve performed a video, image, or regular Web search. The consistency is welcome; other search engines use different layouts for each type of search. Does Bing Have Enough Bling? 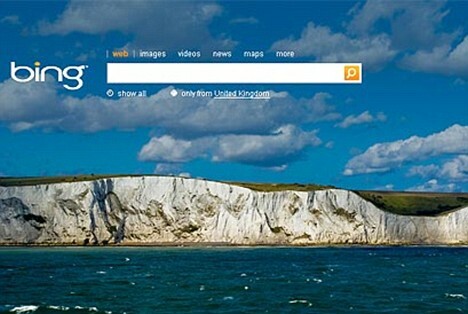 Microsoft has identified several of the problems with Web search as it stands today. Much of the time users are not really looking for a Web page but for an answer. By providing results that answer users’ questions immediately rather than requiring them to navigate to another page and back if the first one didn’t yield the info they were looking for, Bing brings value and efficiency to Web searches. I didn’t run into any cases where Google’s results were more relevant than Bing’s, So it’s unlikely that Bing will unseat Google anytime soon, but it’s a good thing for everyone to have more appealing choices, and some competition, when it comes to Web searching. Yahoo !! is now ICC’s official online partner. Yahoo!!! India and the International Cricket Council (ICC) announced a 3-year partnership through which Yahoo! will have access to exclusive images, videos, interviews and player chats around all major ICC events. According to the press release, for the next 3 years, users can go to iccevents for information on all ICC tournaments including the ICC World, Twenty20, ICC Champions Trophy and ICC Cricket World Cup. Yahoo! also launched a new global cricket website, that includes updates, images, match schedules and player profiles from the world of cricket. The ICC corporate Web site and the various event sites that will spring from this partnership will set a new benchmark for innovation and user interaction to ensure that people who choose to follow their team online are rewarded with an entertaining and exciting experience,” Lorgat said. Former India captain Rahul Dravid, who attended the launch of ICC’s new online destination, said the internet had become a popular way for fans to enjoy cricket. “Live scoring is a great way to keep in touch with matches that are going on and it’s a great medium for sharing opinions and information about games and players,” Dravid said. Yahoo with its massive reach, coupled with exclusive content from ICC, Yahoo! will make the game accessible to millions of cricket lovers..